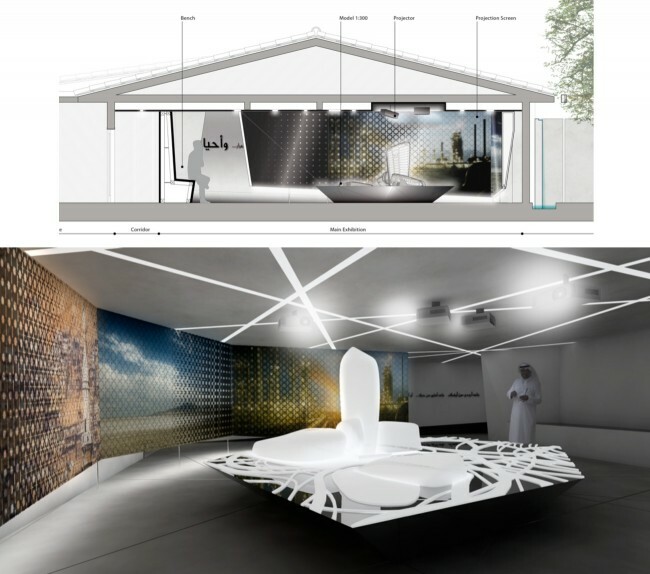 For the visiting center of the IThra, the King Abdulaziz Center for World Culture, Tarek Atrissi Design participated in creating the graphic concept and the 3D components of the exhibition space, located at Aramco in Al-khobar in Saudi Arabia. 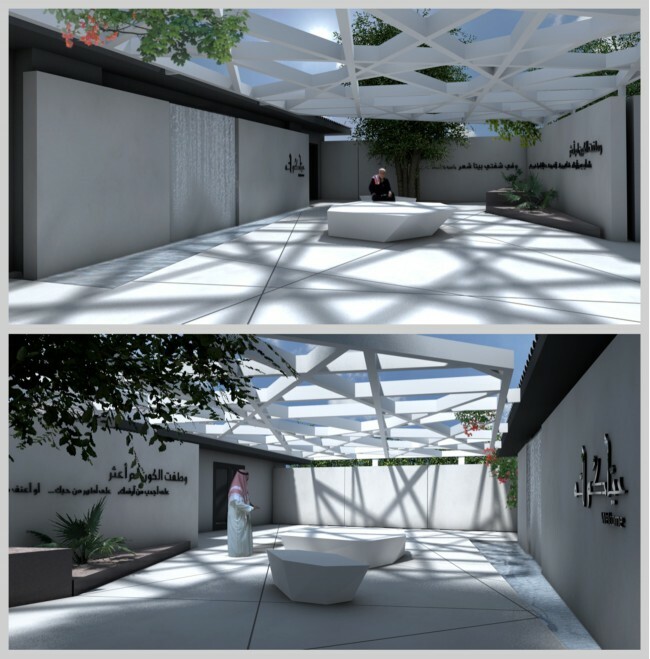 The visitor center design proposal was simple: one of the main components used in the space was an Arabic poem with the theme of the desert. 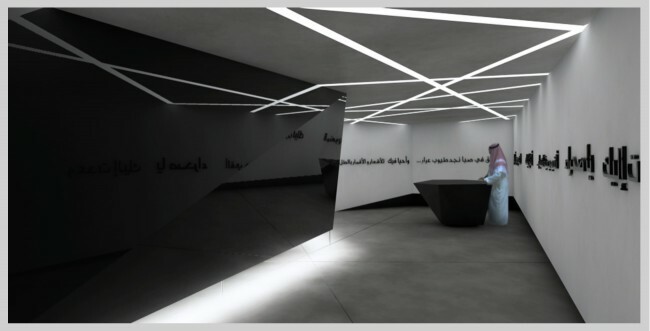 The typographic verses of the poem formed a linear element to be followed and to guide the visitor through the space. 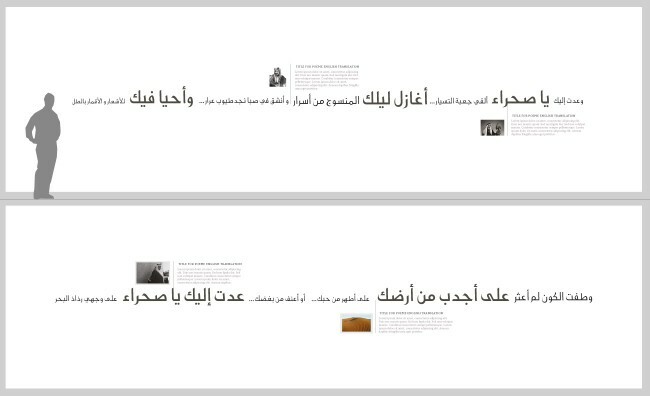 Patterns, images and photographic textures came along the linear text or were incorporated in the media projections. 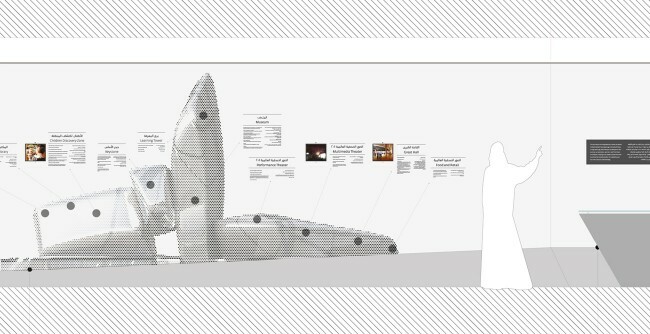 A stylized graphic illustration of the museum’s iconic architecture was applied on the design of biggest wall of the space to visually inform the visitors about the various areas and components of the cultural center.